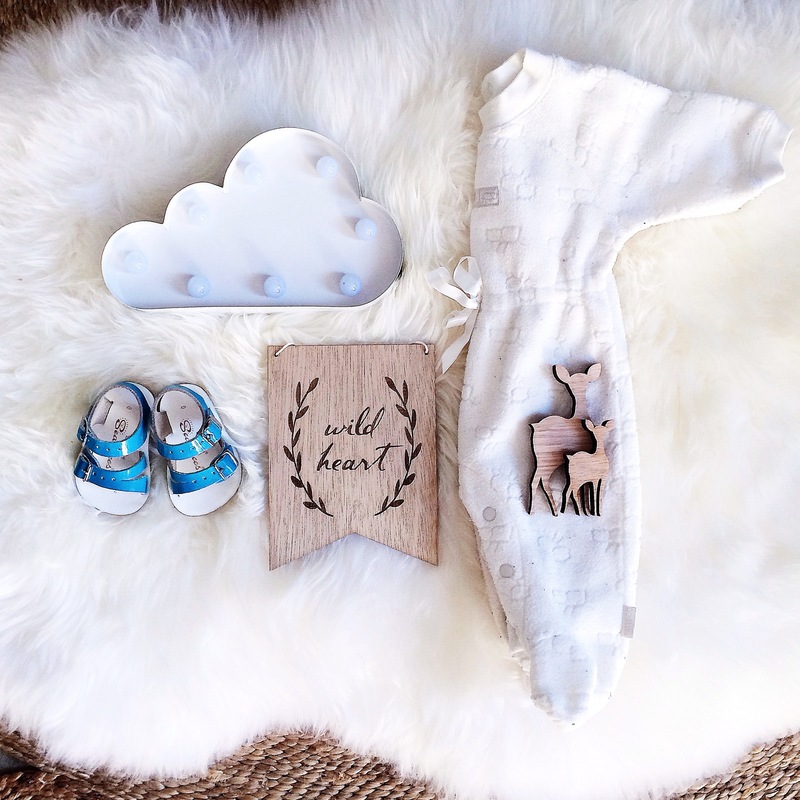 This jump suit is the outfit I was brought home from the hospital in (80s cuteness oh em geee) Light cloud & Deer from Rockmelon, Saltie shoes second hand, wooden plaque from the gorgeous Zilvi & Hello Little Birdie. It’s no secret that I want to be a Mummy. As I get older, this urge to become a parent seems to be getting stronger. I know it’s meant to be a natural thing to get clucky and broody over someone else’s wee bebe, but there’s just something different about my cravings to be holding one of our very own. While I was at school I would baby sit for friends and family to make some pocket money. This would take up most of my free time; every day after school and most nights on the week ends. I would do home work with them, cook them pasta and cheese for dinner, splash through bath time and read fairytale stories to send them off to sleep. But, I would always prefer to be surrounded by kids than be anywhere else. I started dating my Darling Ben when I left high school, I thought at some stage in the early years that we would become parents. But, we had to be married before this became a reality not because of religious beliefs but because I wanted that “traditional love story”. Nine long and impatient years later, we finally got engaged (Yesss!!!) and a part of me seriously sighed with relief. I could finally become a Mum and I wouldn’t have to wait much longer. I’ve had people tell me in the past that it’s ridiculous how open I am about wanting babies. 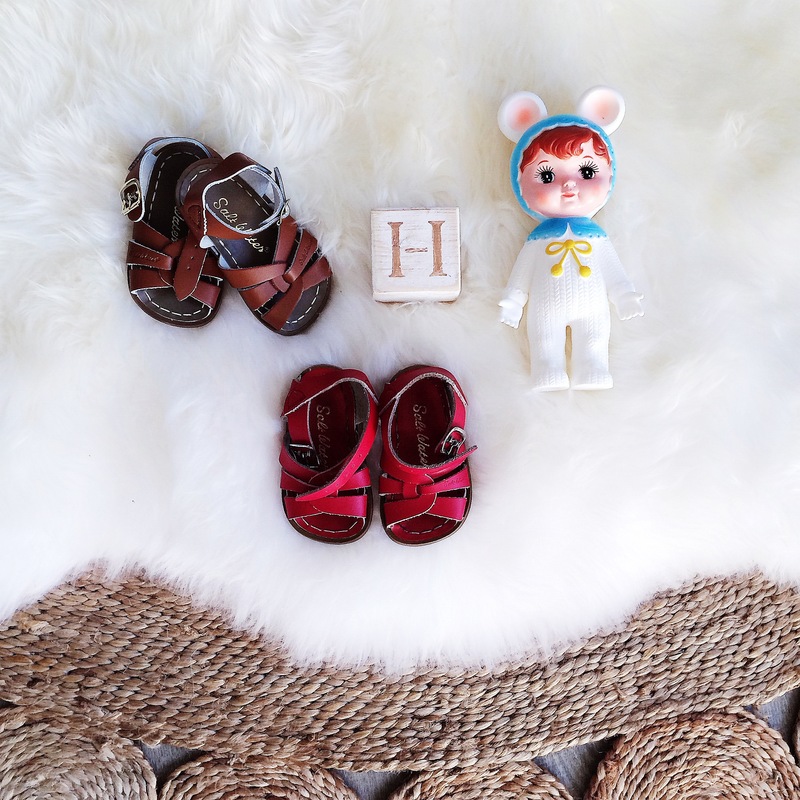 It’s been said that I should only talk about it when I actually become a mother, that I shouldn’t buy things until a baby is real and I shouldn’t get so excited about motherhood in case it can’t happen for us. Those who know me well, understand my excitement and respect my choices. That fear of “but what if” is very real for me and I’m certainly not naïve about what we can or cannot control in life. I guess wanting something as badly as I do overrides all the negativities and I’m not ashamed of being so open about something that should be so natural to most. My attitude now is simple- I’m not ashamed, in fact I’m this open because I know there’s a lot of women who at my age are doing the same preparation. If you don’t agree with my choices or with my wee bebe collection then that’s fine, just switch off. Bebe Glory Box- What is it? I have a Darling collection of one of a kind toys. 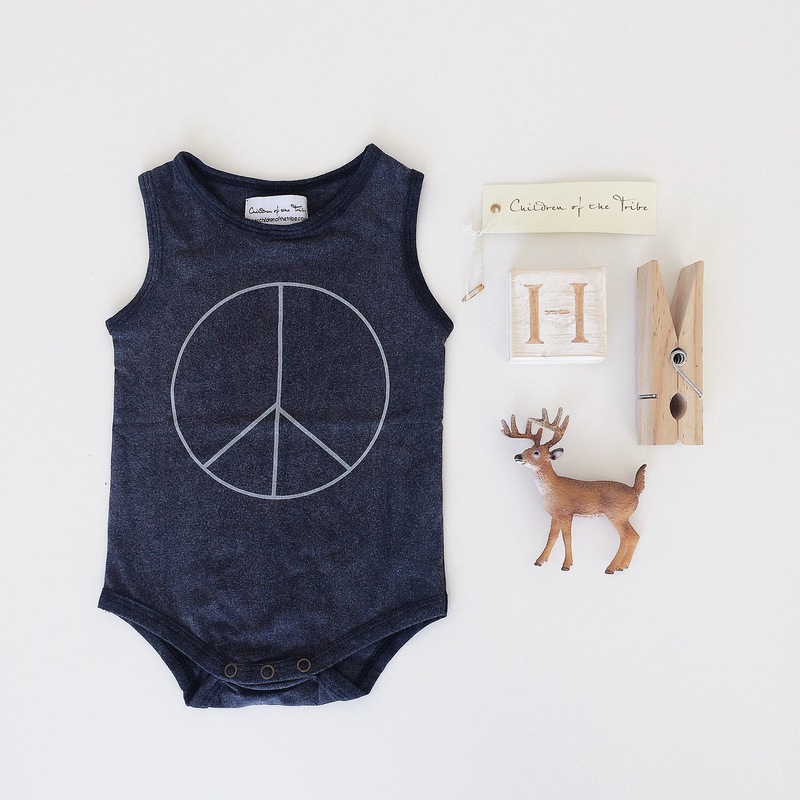 Deers are my fave, this little beauty is from A little Bundle. 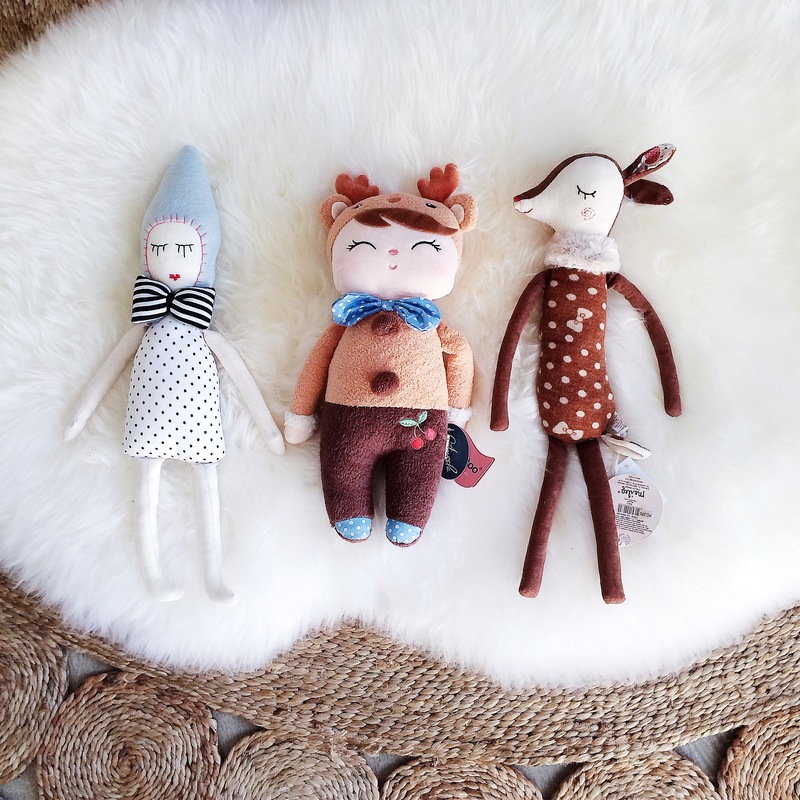 The doll that looks like a little girl/ Deer is from Rockmelon and the cutie with the bowtie is from Studio Escargot. Blankets are obviously a necessity but they can also be super stylish. 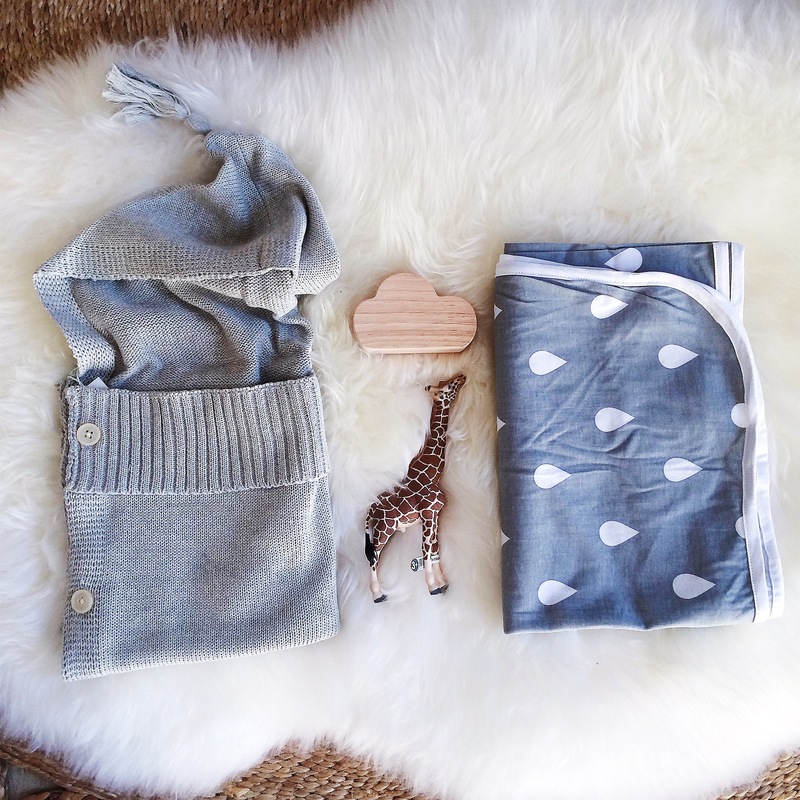 This little hoodie blanket from La De Dah Kids & the raindrop wrap from Jolla Baby. I’ve been collecting things for our future Harvey Bebe since, well, lets just say for the past decade. I have boxes of goodies that include both Ben and my own baby clothes as well as items I’ve bought and been given. Shoes- Oh boy do we have some shoes. 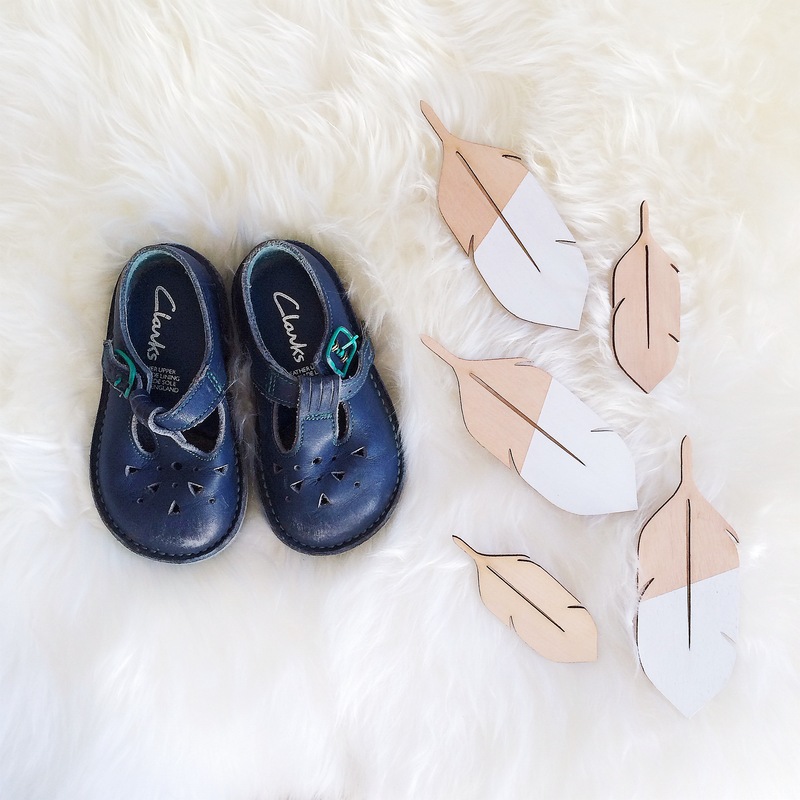 This baby of ours is going to have a seriously sweet shoe stash. 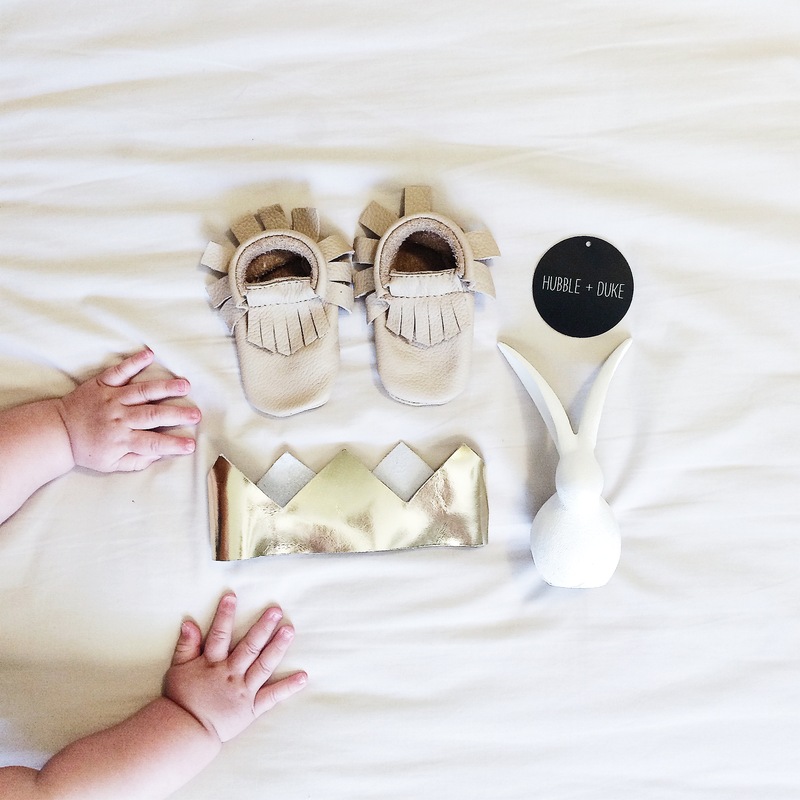 These shoes are from all over the globe including these amazing stores Mini Mocks Petra, Hubble & Duke, Momk Baby, Amy & Ivor. I also discovered some adorable Salties about two years ago from a local Op Shop. I adore second hand goodies as it saves you money, I also got a few pairs from friends I’ve made through instagram which makes them even more special. Clothes- Tiny new born baby clothes can make anyone go weak at the knees. I am not a huge fan of colour or Disney character covered attire and I love everything unisex so that any gender can pull it off. You can never have too many onsies and I got this adorable peace sign onsie from Children of the Tribe, and this croched beauty from the one and only Target. I haven’t purchased too many clothes though as I know my taste will change and more amazing products will become available when the time comes. I just love buying bits and pieces when unique items come along, everyone loves a vintage outfit. 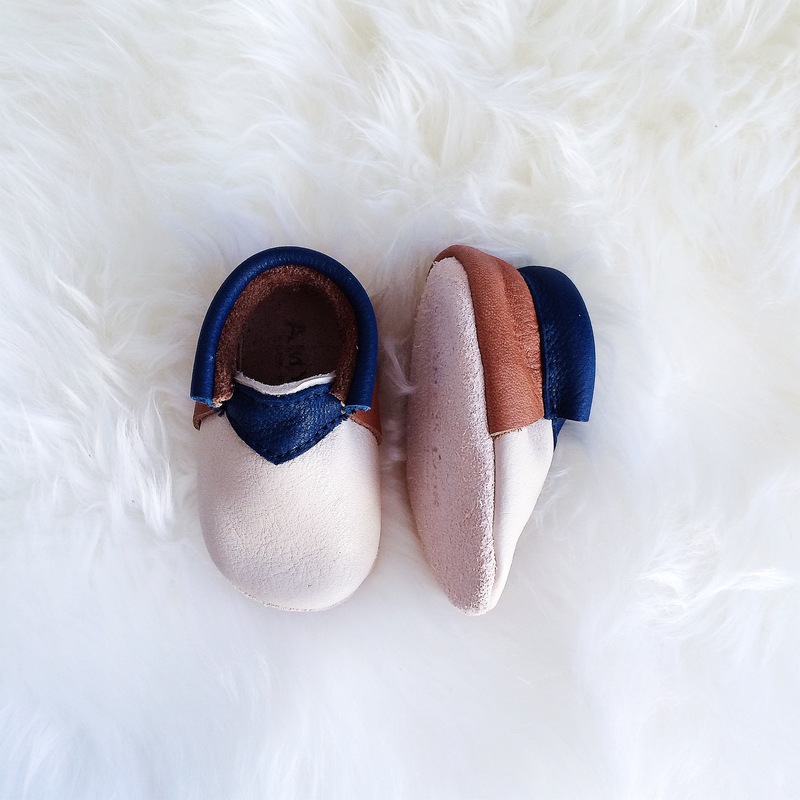 Shoes from the gorgeous Petra from Mini Mocks. She is a gorgeous friend and I adore all her products. 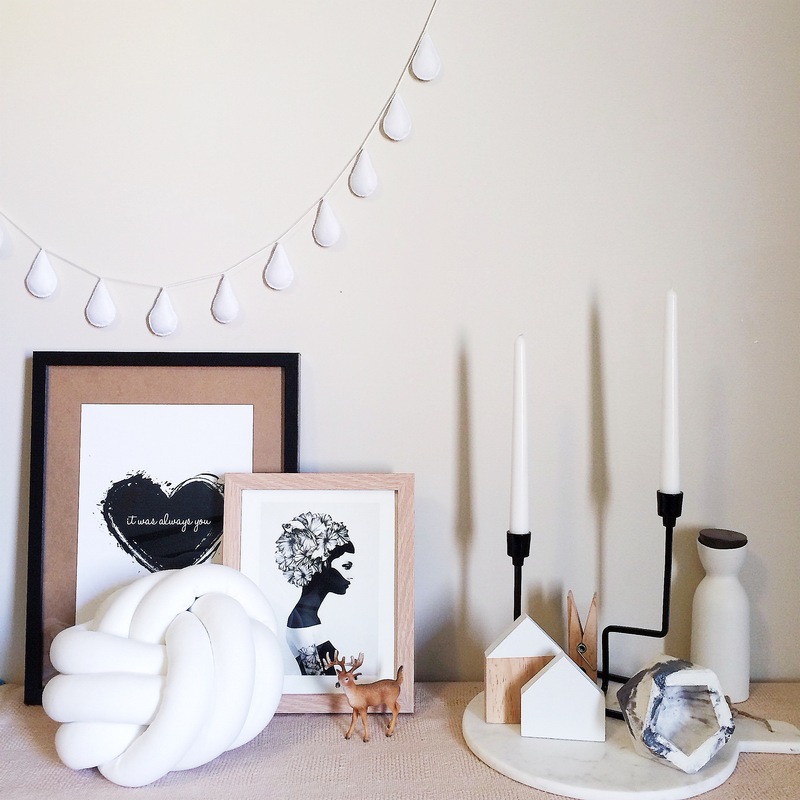 Pre Loved- My obsession for second hand things stems from my own gorgeous Mum. She has a serious talent for finding amazing treasures from thrift stores (I just don’t have the patience). 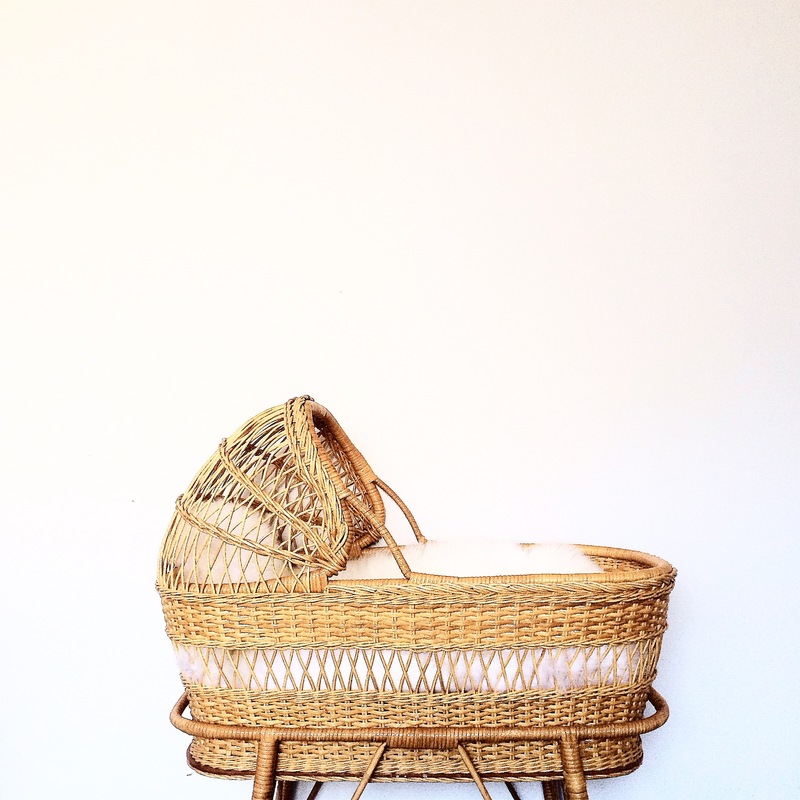 She was mind blown when I discovered this vintage basinet for only $50, I had finally scored a pre loved item on my own. This cane beauty was made around 80 years ago from the Blind Institute of WA in Morley. They are so hard to find in such pristine condition so I snapped it up. I love that Ben’s Mum kept a lot of his childhood clothes and toys. These shoes were his first pair of Clarks bought when they lived in England. 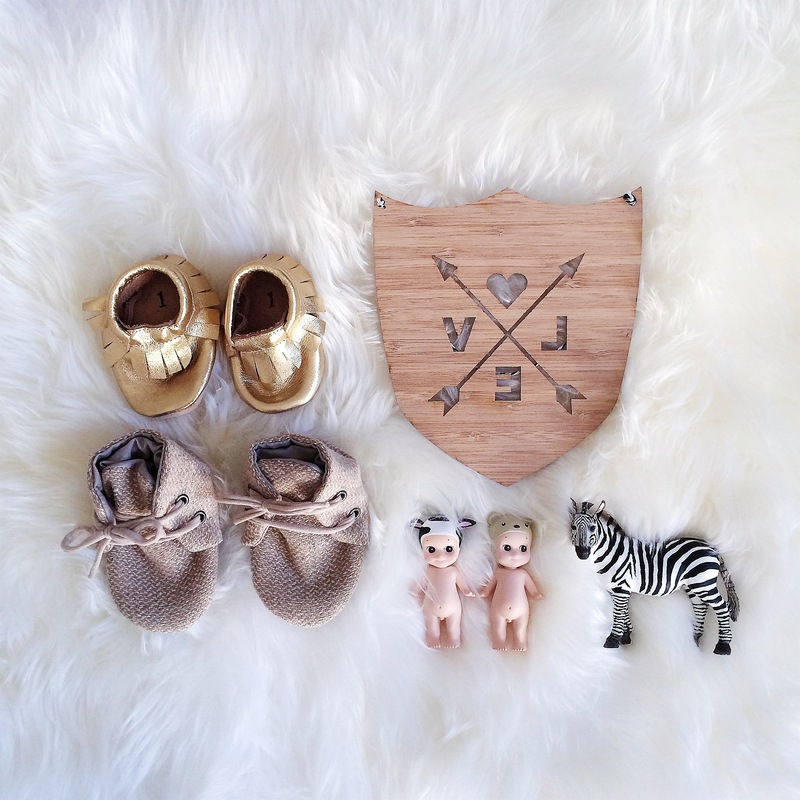 I can’t wait to put our first bebe into these (girl or boy). Salties from thrift stores. They have been used but are in flawless condition. Second hand goodies for your babes is such a great way to save money AND you can still manage to find top brands to rock them in. I’m not wishing my life away, but I really am looking forward to the day that we get to become Mum and Dad. Until that time comes though, we are enjoying our new home together, madly planning our dream wedding in November and then who knows what the future will hold for us. BOOKS- I have a serious collection of books. I have all of my little brothers, all of mine growing up and while I was training to be a teacher (another story all together) I collected lots of them. 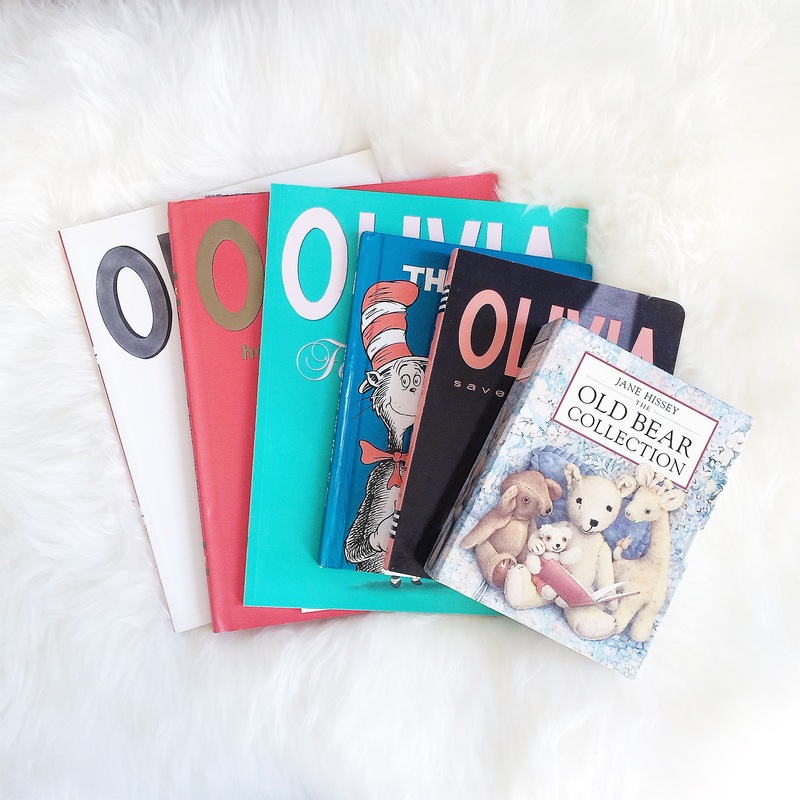 Reading is so important and I can’t wait to start a bedtime/reading tradition with my own babes. I too am obsessed with children and cannot wait to have one of my own. Most of the people in my life keep telling me to live my life more before I settle down and that I’m not ready etc. but why isn’t having a child ‘living your life’? Anyway, when it happens it happens and I’m sure you will make an amazing mother! I have never done that but I guess this is reather sweet than strange, so good you not worry. All I ever wanted for my life was to get married and have babies and do you know I felt so embarrassed to admit to that for the longest time. It kind of went against some self imposed and misguided attitude that it wasn’t “big” enough. Being so open about your dreams is very brave and honest because as you have said people will judge you for it. But you know what? 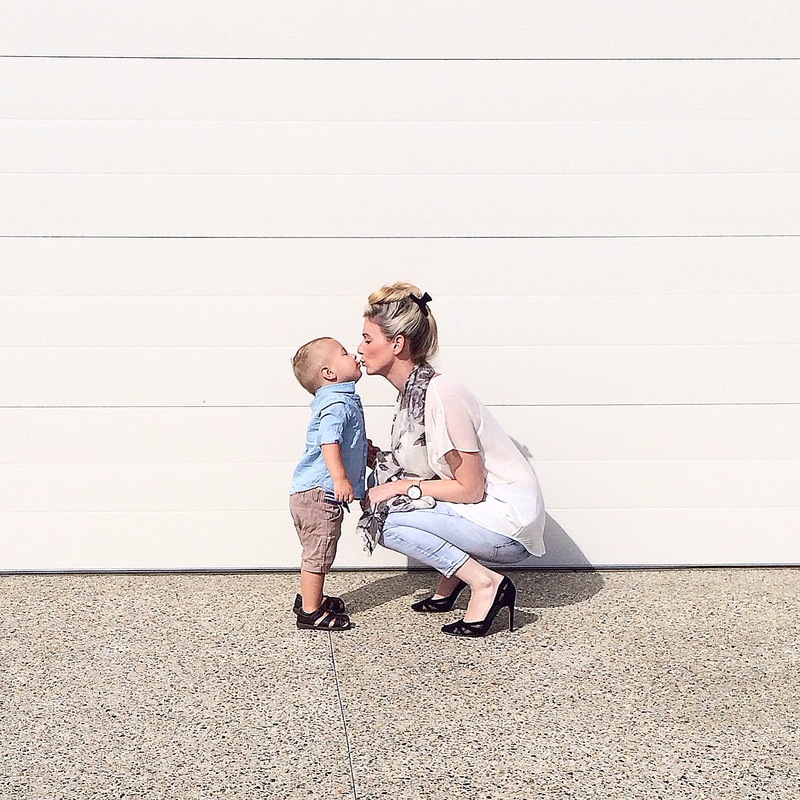 Being a mummy is one of the most challenging, exhausting, rewarding, heart filling things you could ever do so you SHOULD be excited about it and never shamed into keeping your desires a secret.